While London may be at the top of a lot of travel lists, it’s not the only cool place to stay in the UK. Even if you are planning a trip to London, you may want to take a little break somewhere else. 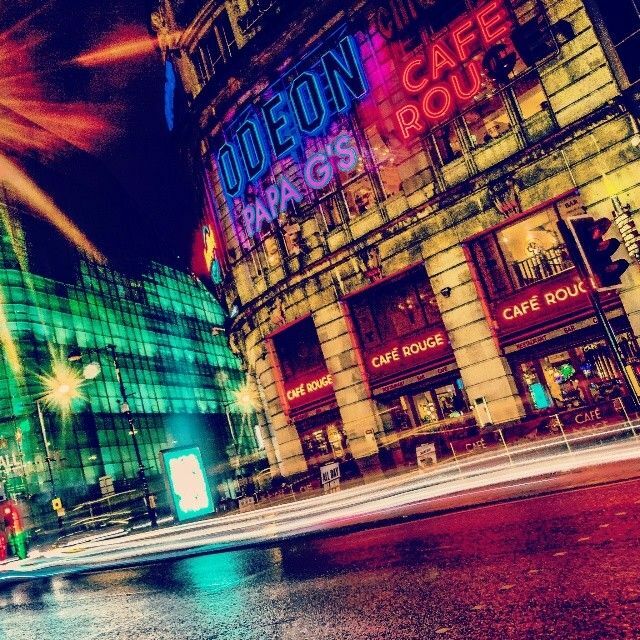 If I were you, Manchester would definitely be on my mind for a short break. It’s cheaper than going to Paris and you can jump on the train and be there in three hours for way less than riding the Eurostar. Plus, you don’t have to know French there. 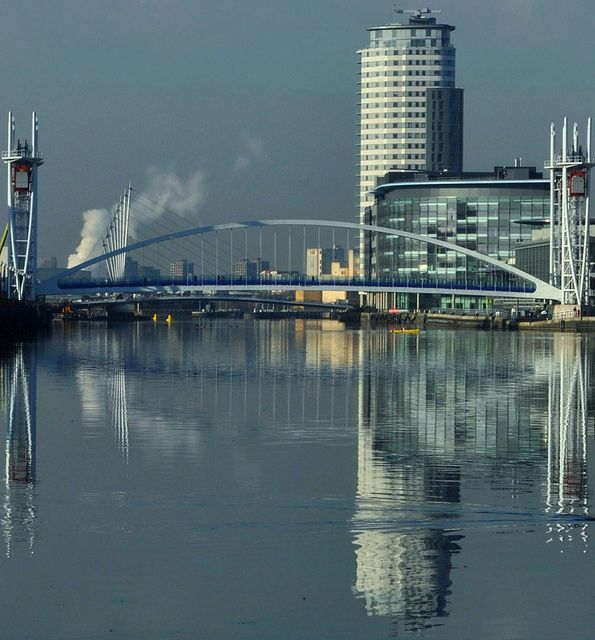 I’d suggest staying on The Quays, for both the view and the prices. (Find a perfect lodging on Hipmunk.) Here’s how I would spend two days in the city. Since you can hop on the train to Manchester every 20 minutes, you can arrive at any time, but let’s assume you get there in the evening, so you can start your day early and make the most of your time in the city. Put a smile on your face by getting breakfast at Café Rouge, a quaint little French bistro, because the food is yummy and you can’t be unhappy when faced with a flaky croissant. 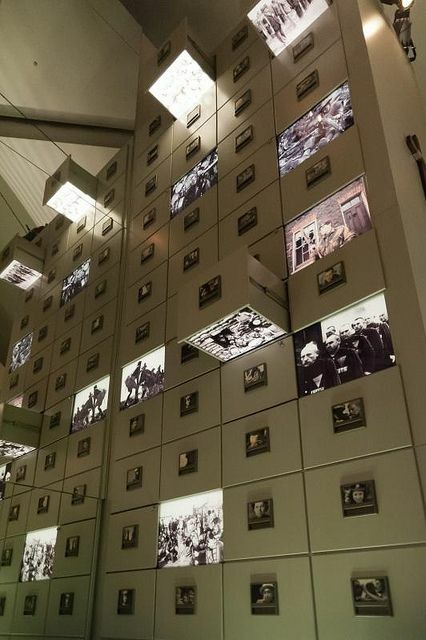 I visited the Imperial War Museum in London and was really impressed. I’d love to check out the IWM in Manchester. It focuses on the people rather than the war and how they have changed, overcome and survived through them from WWI until now. The museum is along the quay and offers free admission, so unless you make a purchase at the gift shop (which will probably be quite tempting), this is a super affordable stop. Got kids with you? Then you’ll want to hit up the Museum of Science and Industry. It has hands-on, interactive exhibits fun for all ages where you can learn about the world through science. Not only that, but the museum is housed inside the world’s oldest railway station. Cool, right? You can easily spend hours here, so you’ll learn something and do it for free, because there is no admission cost. Grab something to eat from the canteen or the café and then go back to checking out the exhibits and having fun. 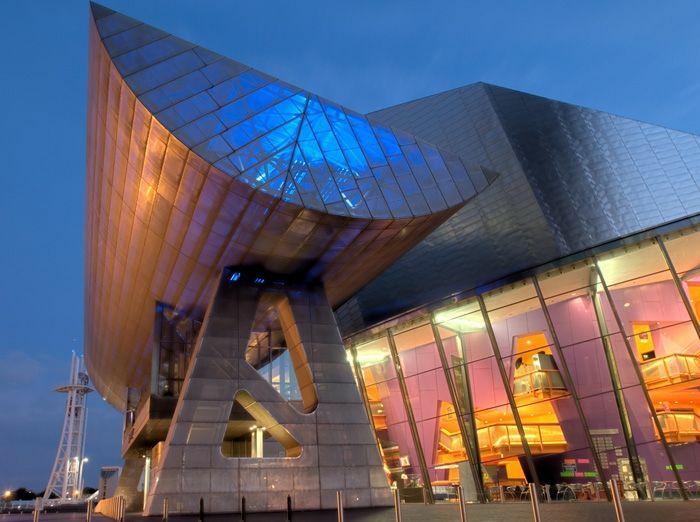 Splurge a bit on dinner and a show at The Lowry. Make sure to pop into the gallery to see the free exhibition on display before closing at 5pm. This changes throughout the year, so there will always be something new and interesting to view. The theater offers a large variety of shows from comedies to musicals to psychological thrillers. You should very easily find something that suits you. Book a table in the Lowry Restaurant before or after your show. 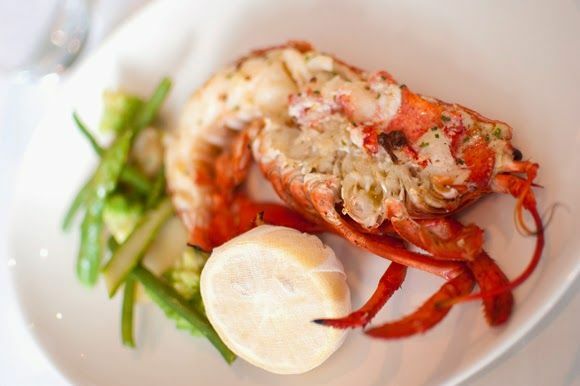 A multi-course dinner starts at £21.95, which is a great deal in the UK. We often do a two-course menu and one of us chooses an appetizer and the other a dessert. We share both with our own entrée in between. It usually is enough for us and saves us from ordering the three-course menu and spending more money. Head back to your room to rest up for a day of sightseeing tomorrow. Start your day with a quick coffee and pastry, so you’re up for a lovely British lunch. 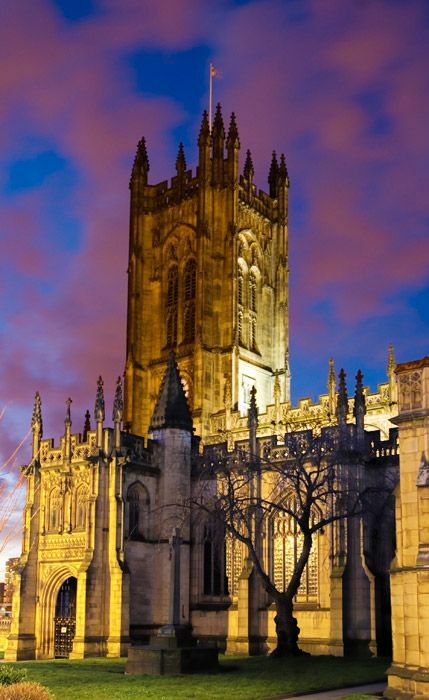 Then, make your way by bus or train to Manchester Cathedral. 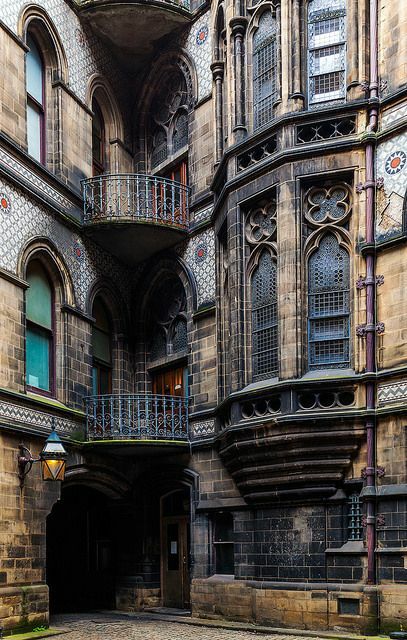 Its gothic architecture is a draw for many, plus the stained glass windows and amazing stonework make the visit totally worth it. It’s free to enter, though you can purchase a guide at the front desk and/or make a small donation for church upkeep. 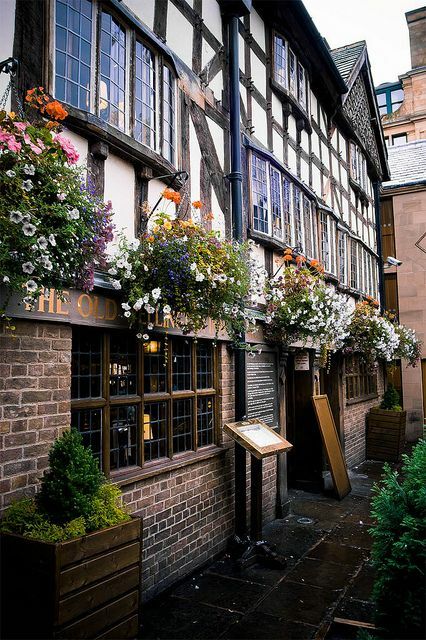 If you’re hungry now, pay a visit to The Old Wellington, a traditional pub where you can order pub food and real (eclectic) ales. Choose from favorites like bangers and mash, fish and chips and meat pie. End your meal with a treacle sponge to share. If you aren’t hungry just yet, you can wander over to Exchange Square and do a bit of (window) shopping first. After lunch, you’ll find the Cathedral Gardens and National Football Museum up the street from the cathedral. 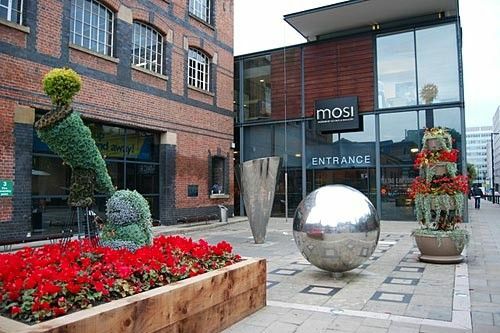 Manchester is a huge soccer city, so if you are too, you’ll love browsing this museum where there are more than 140,000 soccer-related items, a place for kids to jump around and simulators to test your skills on the field. If you have sports-loving kids, this is a perfect stop for families. There are 7 floors to explore and admission is totally free. Can’t beat that. If you want to try your hand (or foot, more like) at soccer skills, you’ll need to purchase the Football Plus+ from £3.50. A family of four can purchase a group pass for £25, which will give you even more to do for not really that much. Take a nice stroll through the Cathedral Gardens, which are landscaped lawns, terraces and trees. Depending on how long you spent in the National Football Museum, you may have time to do something else before dinner. Duck into John Rylands Library. This is one of the oldest libraries and has an amazing collection of rare books and manuscripts. There are also some changing exhibitions at the library. Admission is free and you’ll want to bring your camera to take photos of the gothic architecture which took 10 years to build. 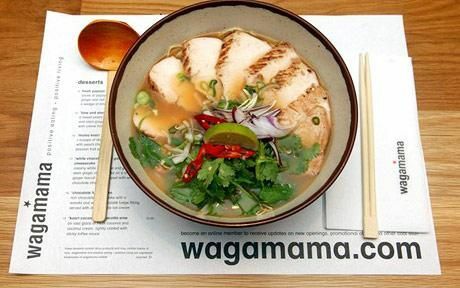 Head back towards your hotel and have dinner across the North Bay at Wagamama. Though this is a chain, it’s both budget-friendly and a popular choice for visitors and locals alike to indulge in a bit of quick Asian cuisine. Not quite ready to head to bed yet? 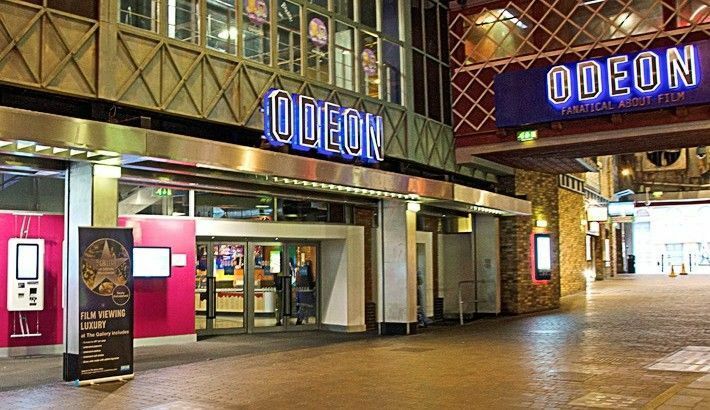 There are two cinemas on The Quays where you can catch all the new movies out. This is a great way to see those films that are only in the UK theaters or American movies that you’ve been wanting to see (or won’t be out in the U.S. yet). 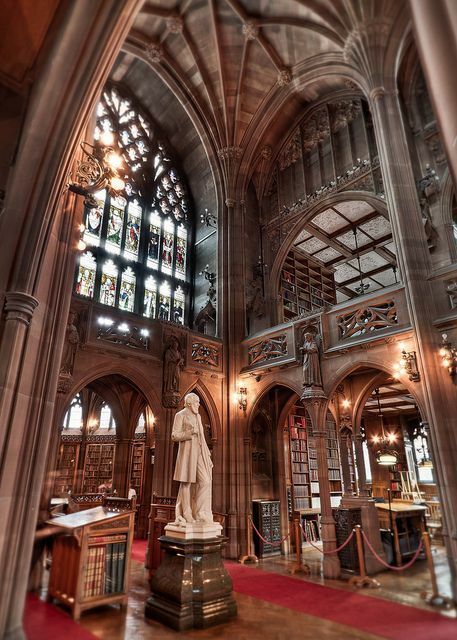 There are plenty more things to do in Manchester that you can choose from, but these sound fun to me and isn’t heavy on museums, which you could easily spend both days in. If you do everything on the list, including dining (which I’ve estimated) you’ll come in at around £145 (~ $230) per person for two days, most of which is food. If you get a vacation rental, you could make some of your own meals and save, but since you aren’t really dishing out big bucks on activities, you might as well enjoy some local cuisine. 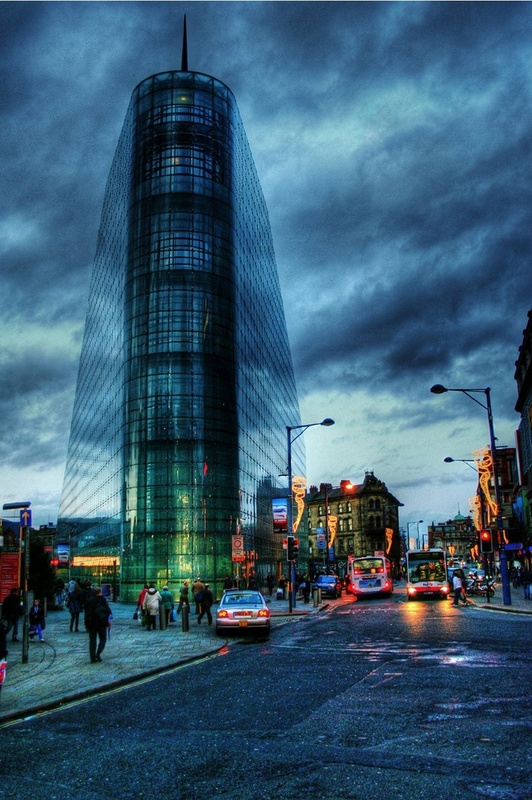 Have you ever been to Manchester? What are your favorite things to do/see/eat there?